The Special Presidential Investigation Panel for the Recovery of Public Property has said the governorship candidate of the All Progressives Congress, APC, in Imo State, Senator Hope Uzodinma, will soon be declared wanted. Chairman of the panel, Chief Okoi Obono-Obla said his panel would any moment, obtain arrest warrant on Uzodinma. Obono-Obla said this followed the lawmakerâ€™s evasion of the panel to answer questions over alleged fraud. He told Vanguard that once Uzodinma was declared wanted, he would be picked up by any law enforcement officer wherever he is sighted. â€œWell, that man still didnâ€™t honour his own words and heâ€™s still evading arrest. We learnt he has run away to Imo State but I can assure you that we will arrest him. â€œWe are going to court to get a warrant of arrest so that any police officer or law enforcement officer can pick him wherever and whichever part of the country he is found. The senator was said to have been arrested at the Nnamdi Azikiwe International Airport, Abuja by security men last Sunday. 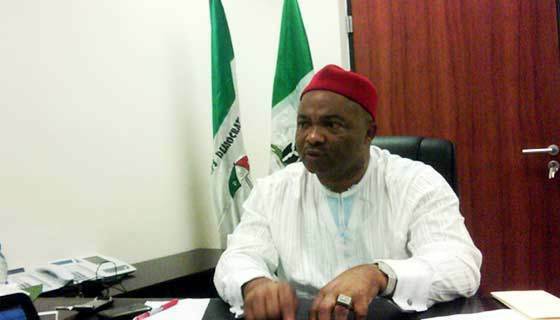 However, Uzodinma denied being arrested when he spoke with newsmen in Abuja.